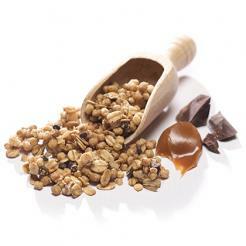 Our Chocolate Caramel Granola is a perfect sweet snack or breakfast cereal, loaded with 11 grams of protein to keep patients active and energized as they start their day. Our sweet and savory mix contains whole grain rolled oats and only 130 calories per serving, providing an optimum morning boost without sacrificing great taste. 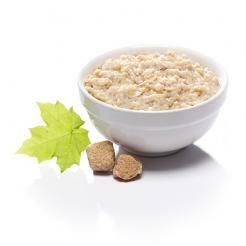 Start your day off right with delicious high protein oatmeal, containing 15 to 18 grams of protein and only 120 calories. This low fat oatmeal provides all the great fiber benefits of regular oatmeal, plus a protein blend that keeps hunger in check longer – with the added benefits of low glycemic carbohydrates. A satisfying bowl of warm, flavorful oatmeal takes only seconds to prepare and tastes even more delicious topped with fresh fruit. 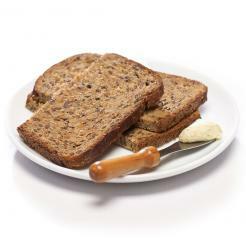 Patients can once again enjoy their morning toast or a healthy sandwich with PROtherapies NEW tasty High Protein, Low Carb brown bread. Stay full with 15 grams of protein and only 1 gram of sugar! Each serving is loaded with 9 grams of fiber and less than 5 net carbs. 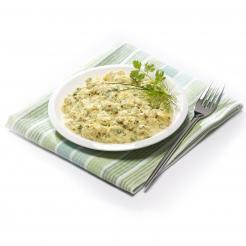 PROtherapies NEW Egg Scrambles are the perfect way to start your day. Rich with 20/14 grams of protein, our egg scrambles provide long lasting fullness and a zesty, tasty addition to your patients' morning meal. At only 160/90 calories per serving, this product is low in sodium, contains natural ingredients, and has zero trans fat. Simply empty the flavor pack into a bowl, add water and one egg, and enjoy. 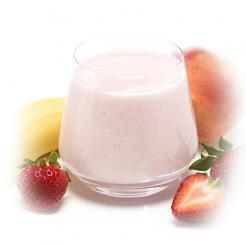 Our line of PROtherapies Protein Smoothie meal replacements pair the high protein formulas you’ve come to expect from our products with smooth texture, clean ingredients, and a customizable flavor system to make an irresistible product you and your patients will love. © 2018 SLiM Inc. All Rights Reserved. This site is for healthcare professionals who wish to offer high quality supplements to their patients. If you would like to create a professional account, please click here.